Air Explorer is a powerfull tool to manage all your clouds together. You only have to configure your accounts in Air Explorer. Then you only have to open one program to control all your storage sites. 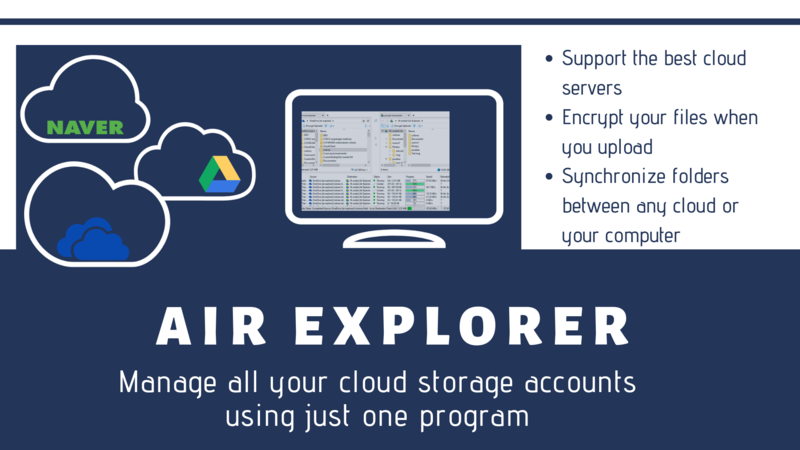 Add your Google Drive accounts, your Onedrive accounts, your Naver accounts,… and manage your files, sync between clouds or make backups only with Air Explorer. This entry was posted in review and tagged accounts. Bookmark the permalink.